Kirchen is the founder of Western Swing Revival band Commander Cody and his Lost Planet Airmen. 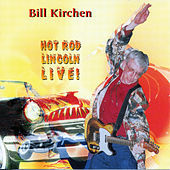 An acknowledged "master of the Telecaster," his hard twanging guitar runs define the band's one hit "Hot Rod Lincoln." Kirchen now fronts the stripped-down Too Much Fun, a band that plays a lean, hard rocking blend of Honky-Tonk, Rockabilly, Bakersfield Country and Truckin' Songs. 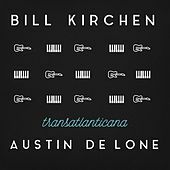 Kirchen tours relentlessly, and fans come out again and again to see him spin out his dazzling, knuckle-busting guitar lines. He is also a favorite sideman to discerning artists like Nick Lowe, Hoyt Axton and Tom Russell.